Some photos, videos, contacts, messages and voice recordings in our phone are so valuable that we cannot afford to lose them. Losing a very important document or a photograph that is very dear to us makes us frustrated and sad. No matter how cautious we are, sometimes things do happen. It happens to the best of us. If you have accidentally deleted some important photos and files from your iOS device and you are worried, then we are here to tell you the ways through which you can recover all the deleted files. There is a software named iSkysoft Toolbox-recover (iOS) which can be highly useful in retrieving the lost data on iPhone, iPad, and iPod. The software helps you to recover the lost data from various reasons like by accidental deletion, stolen device, factory settings, system crash, water damage and more. You can get back your precious photographs, files, contacts, messages, video etc. with the help of this software. Data recovery from iTunes Backup. Data recovery from iCloud Backup. If you are regularly creating the backup of the data in iTunes or iCloud, there are 100% chances of data recovery. To increase the chances of getting the data back, you should make sure that you perform the recovery as soon as you realize that the data is lost. iSkysoft iPhone data recovery is compatible with all the generation of iPhones starting from iPhone 4 and all the models of iPod which includes iPad Pro, iPod touch 5, iPod touch 4. It supports all the iOS devices, and this is what makes this software highly desirable. The software supports windows operating system 10/8.1/8/7/vista/XP and Mac operating system 10.14(Mojave), 10.13(High Sierra), 10.12, 10.11, 10.10, 10.9, 10.8, 10.7 or 10.6. The software also works well for iOS 12, iOS 11, iOS 10.3, iOS 10 and former versions. Connect your iOS device with a computer through USB cable – First download and install the iSkysoft toolbox on your computer and connect your iOS device with it. Make sure that you tap “trust this computer” on your iOS device. Before running the iSkysoft toolbox, you need to ensure that you have the latest version of iTunes on your computer or the connection will not be established. When the connection is successfully established you need to click “Recover” in the main window. You will automatically be navigated to the “Recover from iOS Device” tab. Now to start the scan, click on the “scan button” which is located on the bottom right of the program. The time taken in the process depends on the amount and the size of the files on your device. If during the scanning, you have found the data that you were looking for, then click on the ‘Pause’ to stop the scanning. Preview the data once scanning is complete – Once the scan is complete and the result is displayed, preview the data. If a lot of data is displayed, you should try using the search feature by typing the name of the file. You can also refine the search by using the filter- only show the deleted; only show the existing, in case you have allowed the software to scan both the existing and deleted data. Recovering the data – After you are successful in finding the data that you want to recover, tick the checkbox that is displayed in front of the box. Click the ‘Recover to computer’ at the bottom of the window. Now all you have to do is to choose a folder where you want to save the exported files. For text messages, iMessages, contacts and notes, there will be options to export the files to the computer and restore to a device for you. Make sure that your device is connected to the computer throughout the recovery process if you want to restore the data to the device. 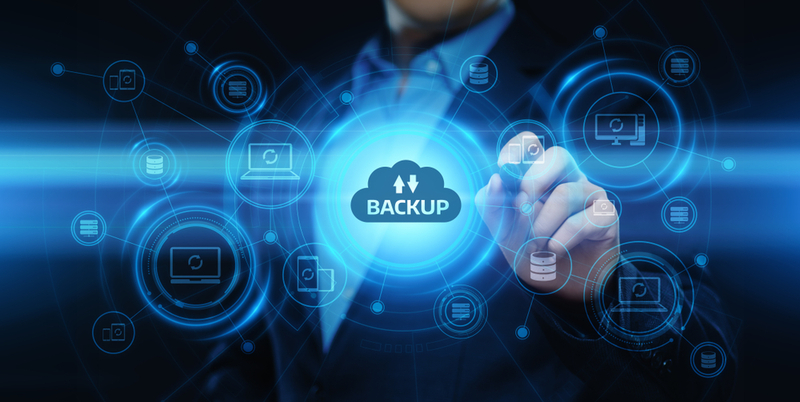 Backup– This is one of the top tips that will ensure that nothing gets deleted from your device. Backup your phone to iTunes, iCloud or the computer. The software iSkysoft toolbox allows you to flexibly backup your data on iPhone. Launch the toolbox and connect the iPhone to the computer. Enter the ‘data backup & Restore’ and select the file that you want to back up on the computer. This can be anything like messages, contacts, call history, photos etc. Click the ‘Backup’ button. Once done you will see the backed up data on the computer. Print the messages– iSkysoft toolbox also allows you to print the text messages from the iPhone, iTunes and You just need to click on the “Printer” icon after the recovery window on the iSkysoft toolbox. Retrieving the deleted data from iOS was never easy in the past, but with the iSkysoft toolbox, it is possible. The software allows you to recover messages from iMessages, WhatsApp etc. ; it enables you to export the recovered text messages both to iPhone and to a computer in different formats and the software also allows you to preview the scanned messages from iPhone so that you can decide if you want to bring the data back. Additionally, the iSkysoft toolbox also works best for the android devices. The software offers the users to recover deleted messages on iPhone as well as on Android devices.